73141 stands in the sunshine next to the shell of Hotchley Hill Signal Box, on the Great Central Railway (North) on 16 June 2002. This was during one of the East Midland Railway Society's photo charters. 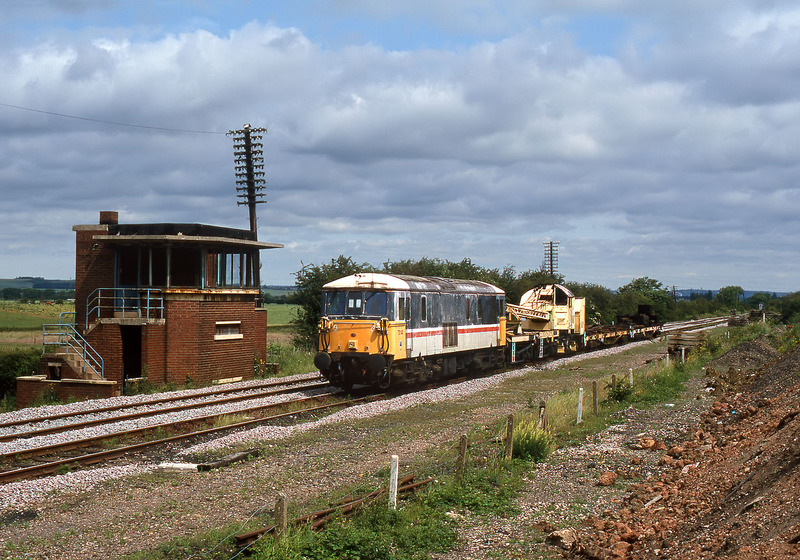 In this case the tatty loco was not destined to be restored to an original livery to spend its days on a preserved line, instead it has been reinstated to mainline service with GBRf.